Five metrics from Bill Gross of IdeaLab. Bill is a Serial start-up entrepreneur. Analysis based on over 100 start-ups. In this guest post from Dr Jules Goddard he explains why studying failing organisations is more productive than studying those that succeed. Business failure is much more interesting than business success. Failure tends to conform to a rather small number of pathological patterns, whereas success is invariably a one-off. There is very little of interest that can be said about success because, by definition, it doesn’t generalize. If it did, every aspiring entrepreneur could be successful simply by adhering to a limited set of established principles. However, we know from practice that this is an illusion. No sooner have Tom Peters, Jim Collins and other business observers claimed to have unlocked the secret of excellence, getting from good to great (or some other winning formula) than their chosen exemplars regress to the performance mean of their industry and the hunt for the snark has to start all over again. Failure would seem to be different. It is less idiosyncratic. When things go wrong, standard reasons are usually to blame. Incompetence is patterned. Unlike success, failure lends itself to generalisation and can therefore become the basis for theory building. We can imagine a science of business failure in a way that would not make sense for a science of success. I’ve often felt that there might be more to be gained by studying business failures than business successes. In my business, we try to study where people go astray and why things don’t work. If my job were to pick a group of 10 stocks in the Dow-Jones average that would outperform the average itself, I would probably not start by picking the 10 best. Instead, I would try to pick the 10 or 15 worst performers and take them out of the sample and work with the residuals. It’s an inversion process. Start out with failure and then engineer its removal. Organisations typically fail for one of two systemic reasons: mismanagement or over-management. Mismanagement is a particular kind of market failure in which the organisation operates to a mistaken understanding of the market it serves. For example, Eos and Maxjet both assumed, falsely, that the market for trans-Atlantic air travel could support an exclusively business-class airline. By contrast, over-management is a form of institutional failure in which the organisation takes on too large an administrative burden. The current woes of the National Health Service, for example, result essentially from an inflated view of the efficacy of bureaucracy. There are simply far too many managers. The latter source of failure is insufficiently recognized – both by theorists of management (who tend to take a Pollyanna-like view of the potential of managerialism) and by practitioners themselves (who have a vested interest in its efficacy). Organisations get bigger, more complex and ever more global – until the task of coordinating the workload and motivating those doing the work becomes simply too great for mere mortals. It is a bad organisation that requires extraordinary managerial skills for it to flourish. For example, the quality of the head teacher is now the most important factor discriminating good from poor schools in Britain. Something is drastically wrong when organisations become so dependent upon the qualities of a single individual. In business, this disease has been called ‘the cult of the CEO’. The signs of over-management are now widespread and self-evident: layer upon layer of managers reporting to other managers on managerial issues; an internally focused culture of long and indecisive meetings, incessant emailing and endemic micro-management; a long-hours culture; large numbers of disengaged and demoralised employees; a neurotic obsession with displacement activities such as restructuring, operational excellence or change management; and a language of impenetrable jargon. The root cause of over-management is an exaggerated faith in managerialism. We give executives the job of both coordinating a wide range of tasks and motivating those who are performing these tasks. But above a certain size or complexity of organisation, this job becomes undoable. Our response to this dilemma is to make matters worse by employing even more managers or even more expensive managers to manage what has become unmanageable. In many organisations, managerialism is now the problem and not the solution. In the context of economic planning in socialist economies, Friedrich Hayek gave the name ‘the fatal conceit’ to the belief that a small number of very clever economists could allocate resources more productively than markets. In many companies, the same fatal illusion has taken hold. Above a certain size (my view: 150 employees), coordination is better achieved by market principles of self-organisation and emergent order than by hierarchical principles of control and constraint. Motivation is more likely to result from a culture that emphasises autonomy of the individual, the development of personal mastery and an ambiance of sociability rather than targets, key performance indicators, scorecards and financial incentives. The recent onslaught by behavioural economists such as Daniel Pink’s Drive: The Surprising Truth About What Motivates Us (Canongate, 2011), Richard Thaler’s and Cass Sunstein’s Nudge: Improving Decisions About Health, Wealth, and Happiness (Penguin, 2009) and David Brooks’ The Social Animal (Short Books, 2011) on the traditional notion of rational economic man adds fuel to this critique of manageralism, by refuting the assumption that man is essentially a calculative being who sees and treats others primarily as resources or ‘factors of production’.Organisations that need large numbers of highly skilled managers to run them are simply organisations that are not serving a self-evident purpose, that are staffed with the wrong people, or that are structured into jobs that require a high level of supervision. Peter Lynch, one of Fidelity’s most illustrious funds managers, used to look to invest in ‘simple businesses that anyone could run’. Where highly talented (and expensive) executives are necessary, a fundamental error has been made in the design of the organisation. • People on their own can’t do their job without help and support (a problem of incompetence). • People without close supervision would cheat on their employer (a problem of mistrust). • The work to be done is poorly specified, the decision rights are unclear or the customer is remote (a problem of incoherence). In each case, the solution lies elsewhere than in more management. The same doubts and reservations about managerialism also hold for the concept of leadership, the more genteel word for management. ‘Stronger leadership’ or ‘better leaders’ is the fashionable battle cry; but it should come as no surprise that most employees (those who are regarded as needing to be led), when asked to nominate some great leaders, come up with the names of Alexander the Great, Genghis Khan, Napoleon, Hitler and Stalin. Who said cynicism was dead? The deeper question is why a business would ever want to employ someone who needed to be managed or led. Why would a self-respecting individual ever want to apply for a job that entailed being led by someone who was seeking followers? Richard Rumelt recently suggested that, when times get tough, it’s time to dispense with all those people who need to be managed. But why did we have to wait for the recession? And why did we design organisations in the first place to be so dependent on bosses? Jules Goddard (jgoddard@dial.pipex.com), formerly Gresham Professor of Commerce at City University and currently a Fellow, Centre for Management Development at London Business School. As you advance in your career, it’s harder to find time to network — especially when the people you want to know also have jam-packed schedules. To meet prominent people, you have to make yourself stand out so that they come to you. Start by figuring out what sets you apart. Ask your friends to identify the most fascinating elements of your biography, your interests, or your experiences. Share this information the next time you’re with a group of people you’re trying to connect with. Building your expertise in a niche will also attract people to you. If you know a lot about wine, or nutrition, or salsa dancing, or email marketing, or any other topic, people who care about that topic are bound to seek you out. Are you economically relevant in the Digital Age? Guest post by Ade McCormack, Digital Strategist, Near futurist, Keynote Speaker and author of a new book entitled “Beyond Nine To Five; Your Career Guide for the Digital Age”. Ade has spent the last three decades plus working with some of the world’s leading brands and is a digital leadership guru of high international repute – you will find him on YouTube. He is a renowned near-futurist and keynote speaker. Intro over; here are his thoughts on Talent in the Digital Age. 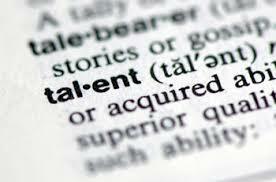 The term talent feels like a slightly more humane term then human resources or personnel. It possibly has a bit of a ‘youth’ feel to it. The reality is that most talent today are simply acting as technology placeholders in the factory machine, whether that factory is furnished or is criss-crossed with conveyor belts. As technology advances become asymptotic, the placeholders are being filled by technology. We have seen blue collar jobs being automated. We are now seeing white collar jobs being blue-collarised. Talent in the digital age means having a capability that cannot be replicated by software or a robot. Creativity is key here. If you are a ‘process cog’ in the machine, you are facing extinction. Talent looks less like a bank clerk and more like Lady Gaga, in the digital economy. HR functions need to adjust to the new realities of talent management. Firstly, they are on a path to mastery, your organisation is, at best, a stopover to acquire the skills for the next phase of their journey. That is why talent engagement is so important. The longer they stopover the better the return you get on the recruitment investment. Step one for HR professionals is to stop recruiting with compliancy as the primary competence, and actively seek out talented disruptive thinkers. Step two is to come to terms with the reality that you are the service provider not the police in respect of the talent’s wellbeing. There used to be dignity in labour. Today any such charitable behaviour just makes you globally uncompetitive. So the unions need to move away from fighting to keep workers employed, despite the economics, and work with the leadership to ensure the workers get the development they need to become world class and future-proofed talent. The recent UK election results will have clarified any uncertainty around this point. Recruiters, in theory, control the talent pipeline. They allow the talent to focus on doing great work, rather than having to divert their attention to find the next gig. But genuine talent will be self-marketing because their work is their brand. So recruiters need to raise their game to provide value over and above simply finding the next job. The recruitment industry has come a long way over the last twenty years. But there are still too many buzzword bingo boiler room operations that regard the talent as a detail of the sales process. My advice would be to focus your limited love on the candidate rather than the clients. Whether we are talent or union leaders, we all have to raise our game. The digital age represents a great opportunity for all parties. Firstly we have to realise that the game has changed. And secondly we have to develop a healthy paranoia about our market value on a real-time basis. TBL: Ade, as do I, wish you well as you either embark on your career or adapt to the momentous changes of the digital age. Ade’s magnum opus is a reality check for each and everyone’s economic relevance.